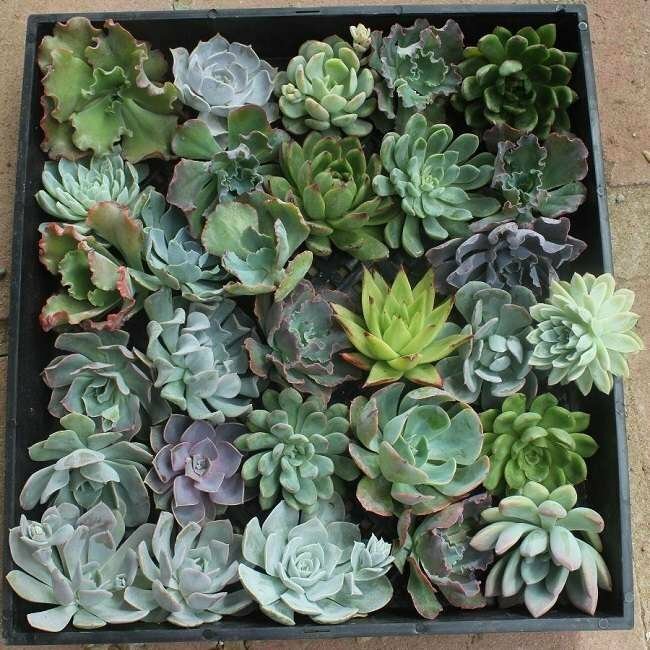 Use succulent cuttings for DIY projects! After the event, root them up, put them in a pot or garden and have them forever to serve as a memory!! Your order may vary from the pictures, depending on season and stock. 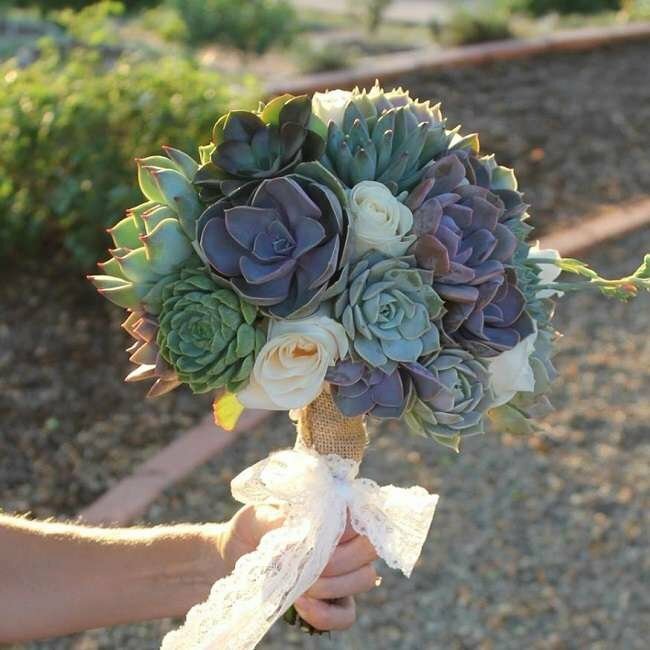 Match your succulents to your wedding colors! We can do a variety of show stopping pastels or you can request only certain colors to match your wedding. Ideal for accents and focals in bouquets, centerpieces, etc. Perfect for focal pieces in bouquets, decor, cakes toppers, centerpieces, etc. Great for table decor and accents. The #1 pick for bridal bouquets. Also great for corsages, cake toppers and decor. most rosettes (these cuttings) grow close to the soil line. until they naturally root and can hold themselves tight! See YouTube videos showing how cuttings can be secured for bouquets, boutonnieres, corsages, decor, etc. Our team is standing by to fill your order! What can I do with cuttings when I'm done? Why throw away expensive cut flowers after your event? You can replant your succulent cuttings!! 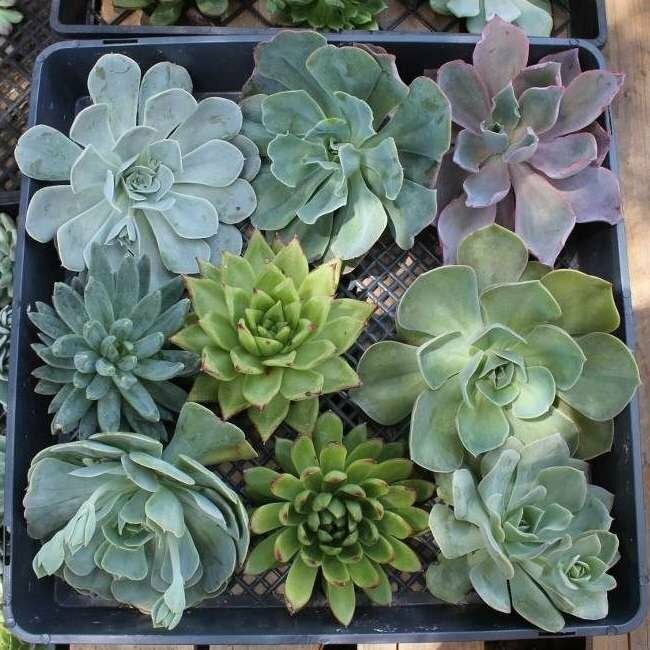 See our Cutting FAQ for info needed on rooting and succulent cuttings! 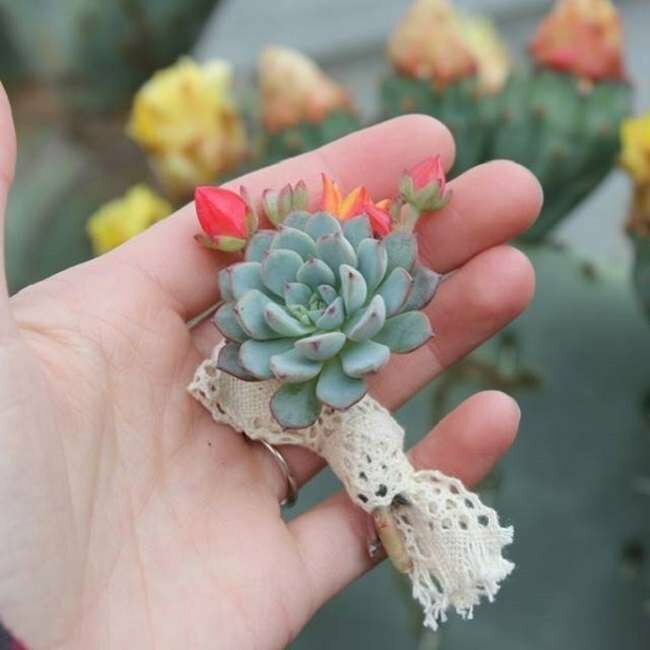 My daughter wanted to use succulents for her prom corsage and boutonniere . We ordered from the succulent source, created the items, and then planted them afterwards as a souvenir. They arrived in good shape - we had a nice variety of colors, shapes, and sizes to use. We planted the extras. It was a great experience and I would recommend to anyone wanting to try. I have never been great a floral arrangements, but am really happy with how these turned out. They arrived in a timely matter and they were just perfect!!!!!! 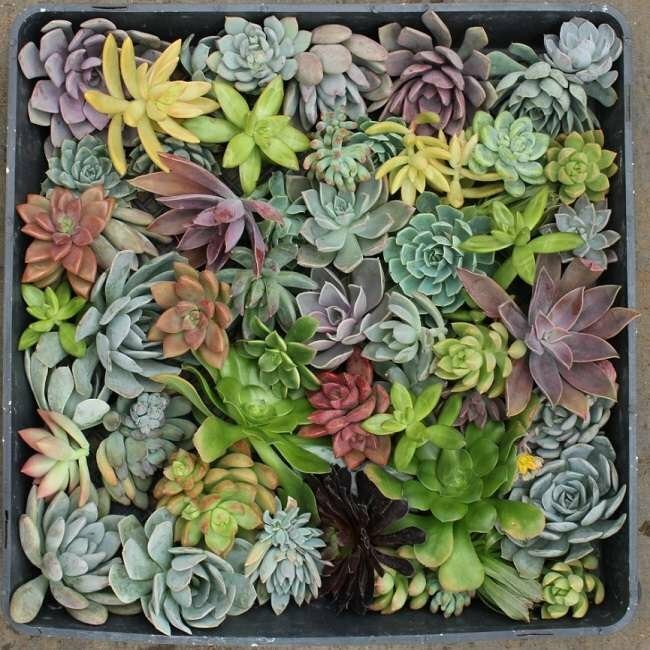 I'm an event florist and ordered succulents for a number of weddings. The Succulent Source has always provided a quality product. They worked with me when I needed specific items or color tones and accommodated as reasonably possible. If there ever was an issue it was resolved quickly and satisfactorily. I couldn't be happier with my experience with them and their products. They arrived quickly and were packaged wonderfully. The cuttings look amazing and there was even extra! Thank you so much for always delivering quality products at a decent price. 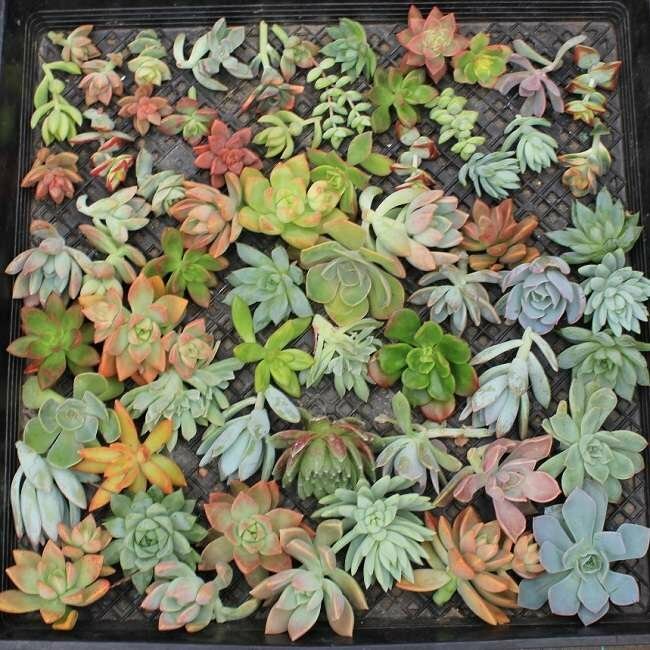 I have several spring projects that I ordered cuttings for in many sizes. They were all so beautiful. I hadn't used them all yet and placed them on some moss in a basket.....thats more beautiful than anything I could make. Great quality!